The winner of the PoptropiCon costume contest will earn a one-of-a-kind prize. See if you can put together the ultimate villain outfit, but beware — the action at this convention is about to get real! Which does not even begin to tell the full story. 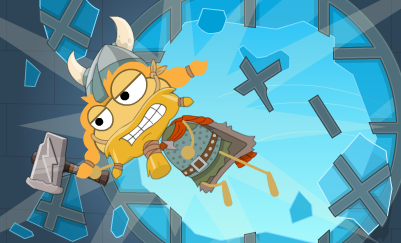 Get ready for a behind-the-scenes look at PoptropiCon, episode 2, only from Poptrickia! Excuse my awful image editing skills. Nice art, don't you think? There are two players. Each player has a deck and a hand (you draw a card from the deck into your hand every turn). Each card has a value of gems; you can either gain that amount of gems for yourself or remove that amount of gems from the opposing player. There's probably a target amount of gems you have to reach in order to win, or perhaps the opponent loses when they hit 0 gems. So far, I don't know the reason why you play the games. Anyway, moving on to the scenes that you'll visit during the island! It's also going to release with it's own common room (that's where the Atrium door leads from the Theater scene). The Creators are getting adventurous with the number and complexity of scenes once again! Also, did you hear? The Creators are re-releasing Shrink Ray Island! Anyway, back on track. The episode is in a very early stage right now, so the most I can gather is this: you're trying to create a costume this time to look like Omegon, one of the Might Action Force heros. In order to do this, you'll have to beat people at the trading cards game so they'll let you get certain items, or things like that. 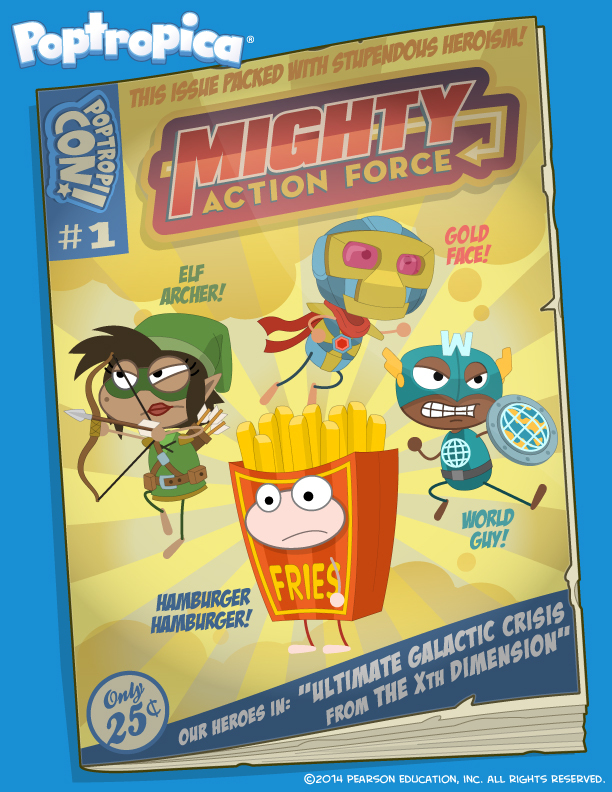 Fairly Poptropica-y, don't you think? To top it all off, here's the link to the intro animation. I hope these sneak peeks were insightful, and have a nice week!